Leading Wholesale Trader of air neutralizer forest dew from Pune. We are one of the leading wholesaler trader and suppliers of Air Neutralizer Forest Dew. Eliminate the unavoidable odors and freshen the room with the light clean fragrances. 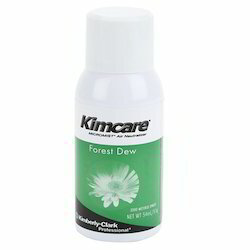 Looking for Kimberly Clark Air Freshener ?